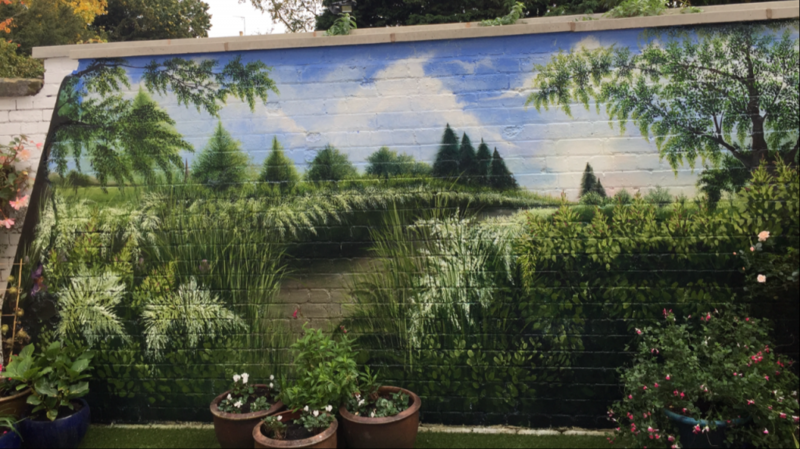 Toni has recently completed a large, external mural within a small, courtyard space. The concept was to bring a pleasing view of greenery a nature into a limited urban space for a client wishing to see more than a plain, white wall everyday. The wall was given a new lease of life with a vista of verdant countryside, a landscape to inspire and delight. Toni was hoping to create a little magic. Can you spot the hidden fairy?